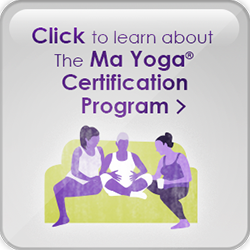 Ma Yoga Prenatal Yoga Sherman Oaks - and Mom + Baby yoga too! 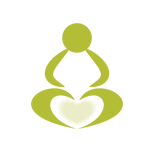 Welcome to the Ma Yoga Sherman Oaks Location Page! Scroll down for our Class Schedule, contact info, parking instructions, recommended caregivers in the area, and instructions for booking your first FREE class. Don’t worry, we never charge for booking, only attending. We do appreciate an email if you can’t make it – just email Kimberly at yoga@kimberlyfujitakiyoga.com. 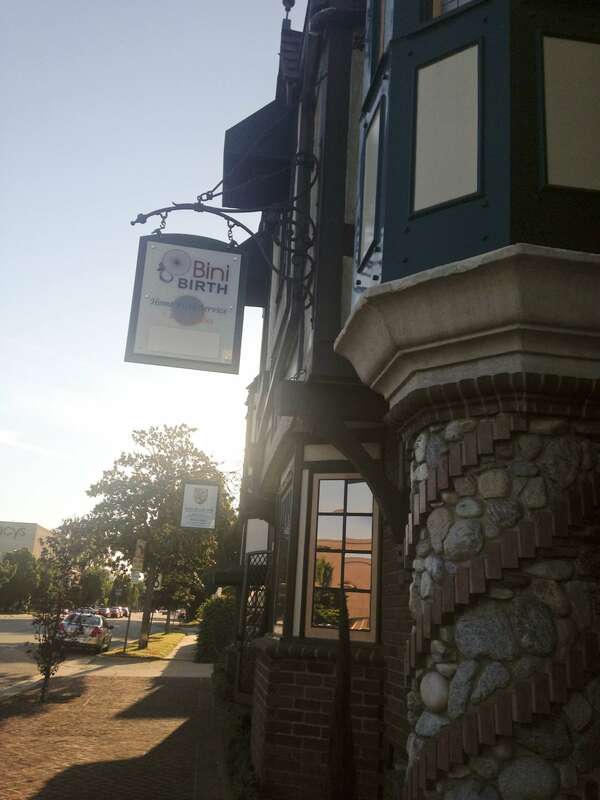 Welcome to Ma Yoga Sherman Oaks – Bini Birth! Come join other Moms and Moms-to-be in wonderfully empowering, friendly, and inspiring weekly Prenatal Yoga classes! If you’re pregnant – come make space for baby while making some new mom-to-be friends! Our yoga is alignment-based so it’s safe for every trimester, and will help you relieve aches and pains, stay strong and prepare for labor. 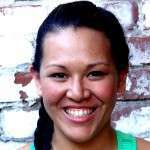 Meet Your Ma Yoga – Prenatal Teacher, Kimberly Fujitaki! When I started to practice yoga, over 10 years ago, I began to see and feel things in a way that I had never felt before. These observations led me to become a 200 RYT and since then, I’ve practiced, taught and learned so much from varying yoga styles and yogic principles. Supporting kids, mothers and their families through yoga and creating community is my life’s passion. I’m very fortunate to share my love of yoga with mothers and the future yogis of the world.– Kimberly Fujitaki p.s. If you have any questions or just want to reach out, you can contact me.at yoga@kimberlyfujitakiyoga.comor at 213-787-4376. The building is very hard to miss, it is across the street from Fashion Square Mall (Ross, Sports Authority), and it looks like a castle. It’s west of the intersection of Woodman and Riverside. Street parking is extremely easy in front of building and on side streets. Nights and weekends we have the parking lot in the back of the building. 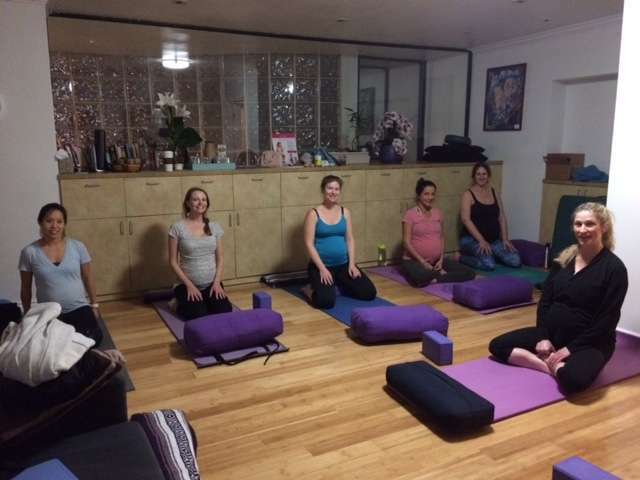 Bini Birth is a center for birth education, doula trainings, and community events related to pregnancy and new Ma Yoga Sherman Oaks Bini Birth receptionmotherhood. 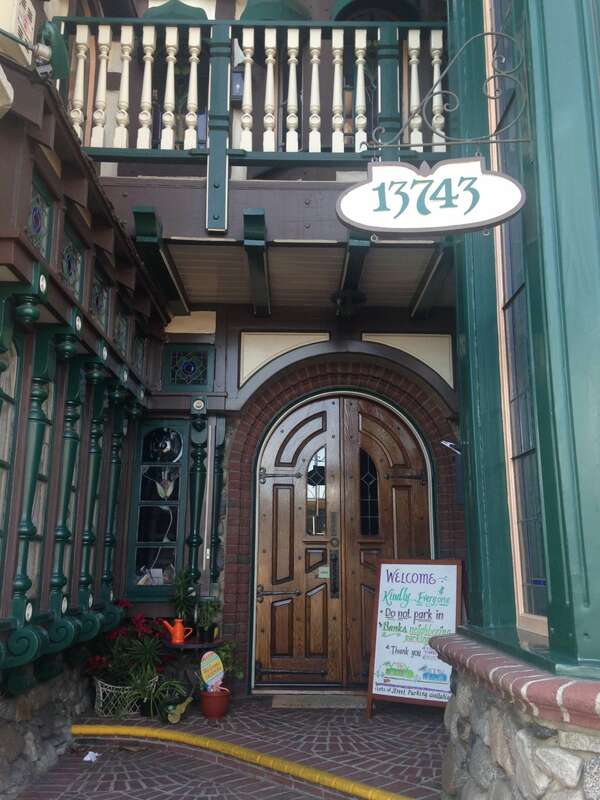 There are great birth prep classes here, a doula referral service, and a boutique full of natural, organic baby products. Come check us out! For more info about this location, please visit www.BiniBirth.com. 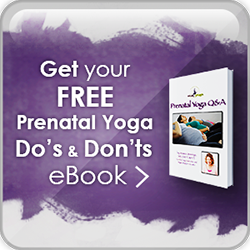 Just choose the Prenatal Yoga or Mom Yoga + Baby class you want to go to (more under “Locations”). Practicing yoga with my baby next to me is such a rewarding experience – even if I only get to do a few poses, a little goes a long way. My baby loves to lay on the floor and watch me practice yoga. I feel like she tries to lift her legs when I do and loves breathing with me and watching me relax and ground. Jessica is an amazing yoga teacher, especially for pre and post natal women who need a little extra care from an experienced teacher. Her class is challenging, but gentle, and I leave feeling like I’ve had a spa day. I plan to be back in a few weeks & can’t wait to see you all ???? I can’t tell you enough how much yoga helped me, not only through my pregnancy, but also through labor. Homebirth Service of Los Angeles at Bini BirthComprehensive midwifery care since 1980 –We provide comprehensive, personalized care to families who wish to give birth at home. Our services include prenatal care, assistance throughout active labor and birth at home, and postpartum follow-up visits. Excellent board certified obstetricians are available for consultation and referral as needed. The Pump Connection provides current, evidence-based lactation support to enhance each clients lactation experience. Each client receives personalized attention tailored to their specific needs to help empower families during their breastfeeding journey. We realize that having a new baby brings lots of questions and concerns and many parents tell us that they receive conflicting advice which often confuses them. Our goal is to reduce parents’ anxiety by offering time-tested solutions to simple or complex breastfeeding issues in a warm, supportive and non-judgmental environment in order to increase the prospects for breastfeeding success. Welcome to the Mother Infant Lactation Center, otherwise known as MILC. 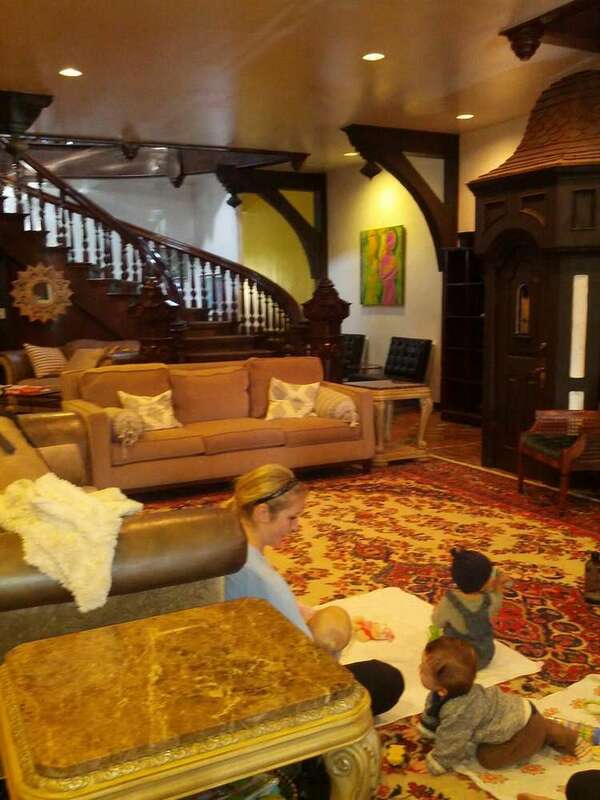 As a full-service lactation center, MILC was founded by Roza Baghdassarian, with the expectant and new mother in mind. At MILC we believe in promoting bonding and healthy attachments and seek to offer family centered breastfeeding support and education with up-to-date research findings as well as the practical experience of other mothers. MILC offers private in office and home visit lactation consultations, prenatal breastfeeding classes and support groups, custom fitting for maternity and nursing bras/sleepwear and clothing with a large inventory as well as being a rental station for medical grade rental breastpumps and baby weigh scales. Are you interested in hiring a Doula for your birth? Bini’s doulas are well respected among doctors, midwives, nurses, and other professionals in the birth community. Our registry is exclusice for doulas we train or that we have known for many years in the birth community. It is an “invitation only” registry, meaning, we only refer doulas we know personally and well. Melanie Wachsman: I am a certified birth and postpartum doula and lactation educator serving Los Angeles, California and surrounding areas. My commitment as a doula is to ensure you have the birth you envision. Whether your path includes meditation, medication or both, you can count on the birth to be what you design for you and your child’s birthing experience. Kathrine Auger currently works as a birth and postpartum doula and offers private childbirth preparation, breastfeeding, and newborn care classes as well as postpartum consultations. She also teaches DONA postpartum doula trainings and leads support groups. Specializing in women’s maternal mental health, Diana Lynn Barnes Psy.D is an internationally recognized expert in the field of women’s reproductive mental health. She specializes in the assessment and treatment of mood and anxiety disorders that occur around the child bearing years. Postpartum passages support group for new moms meets Thursdays 10:30-11:30. Call Bini Birth to register. Jenna has been a massage therapist for more than a decade, specializing in therapeutic prenatal and postpartum massage. Her work is a combination of therapeutic Deep Tissue and relaxing Swedish Massage, which creates freedom and movement in the body while providing a healing and relaxing experience and brings balance to a body full of change. Each session is tailored to your individual needs to alleviate your aches and pains and help you feel relaxed and renewed. Placenta encapsulation by Kim Neer is The process of turning your steamed, dehydrated, and ground placenta into pill form. Taken in the days following birth, it is believed to have numerous health and general well being benefits. I use the Traditional Chinese Method to prepare the placenta, gently steaming it over a bed of lemon slices and fresh ginger, which is said to encourage warmth and healing in the body. is a Holistic Therapist, Certified Clinical Hypnotherapist, Birthing Doula, Imagery Master, Reiki Master, and Artist. Adriana is bilingual in English and Spanish, and is currently in private practice in West Hills, CA. Her passion of helping others, and love for guiding each individual to unlocking their true potential and creating positive permanent change led her into this field. Kids’ Yoga for the Courageous, Little Heroes Yoga, is approachable, interesting, creative and dynamic kids’ yoga and family yoga that allows everyone to be themselves completely. When we practice Little Heroes Yoga we meet ourselves on the mat as we are and tap into the heroic abilities within each of us through movement (asana), breathing (pranayama) and a little bit of stillness (meditation). HypnoBirthing®-The Mongan Method , “affiliated with the HypnoBirthing Institute”, is a complete childbirth education course that prepares the Mom and her birth companion for pregnancy, birth, and parenthood. It is a rewarding, stress free method of birthing based on the belief that when a Mom is properly prepared for birthing physically, mentally and emotionally, she can experience the joy of birthing her baby in an easier, more comfortable, and often pain free manner. The end result is a happy, healthy and calm baby and Mom. All Things Natural for Baby and Mom. Cloth Diapers..Baby Carriers..Organic & Natural products and gifts. Right across the street from Hugos, on Coldwater Canyon. Limited outdoor seating, delicious, healthy, organic tacos, burritos, and bowls. 12905 Riverside Drive, Studio City, CA 91607 (1 mile away) outside seating. 4356 Woodman Ave, Sherman Oaks, CA 91423 (1/2 mile away). Food court – great choices and tons of seating. 14107 Riverside Drive, Sherman Oaks, CA 91423. Sushi, fruit, salad bar, fresh juice. No seating so grab and bring to Bini. For Ma Yoga class reviews, please click here.